In "The Art Of The SEO Proposal", we've discussed how to get SEO clients. In this post, we'll look at how to keep them. In most businesses, a high proportion of revenue comes from repeat business. Because it can be a costly process to acquire new clients, it makes sense to spent time nurturing the clients you already have. We'll look at ways to both structure the offering to ensure on-going revenue, and the simple things you can do to maintain and build relationships. It's mostly comes down to doing the simple things well. 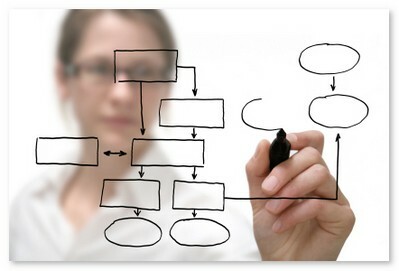 We've talked previously about SEO business models. It can often be difficult to justify ongoing billing using a typical SEO consultant model. You go in, you fix up crawling issues, you restructure the site, you change copy, and you build links. Some SEOs may bill on-going for reporting, link building and/or competitive analysis. However, a lot of the value is created up-front, which can make it difficult to build on-going, high value relationships with existing clients. In this respect, SEO is not unlike the web design model. Minor on-going adjustments aside, the job has a clear beginning and end point. For the relationship to build, you must create more and more value for the client on an on-going basis. With little more than a glance at many of the more popular SEO hang outs, I believe it is obvious even to the uninitiated, SEO is pretty much focused on traffic generation. Things like conversions, demographics, analytics and increased website revenue generation from upselling take a distant back seat. Were it not so, topics like social media manipulation for the primary purpose of link acquisition and when PR will be updated would not dominate the interactive real estate to the extent that it does. In this guru’s opinion, too many opportunities for genuine marketing discussions get reduced to yet one more twittershitter to be dug up and stumbled upon. Serious discussion about honest to goodness marketing often gets buried by linkbaiting headlines that offer little more than a boost to the ego of the master baiter. Why? Because generating traffic is easy. Making money, online or off, takes education, dedication, focus, and even with those assets in place, it does little more than give one the ability to be right more often than wrong. If you create value for the client, they will keep you. If you continue to add value, you can continue to bill. That has little to do with ranking positions, links and traffic, and everything to do with growing revenue and/or brand reach. For example, I saw one nice piece of SEO work recently where the client remarked "I don't know what you are doing but we are getting lots of large custom order requests!". 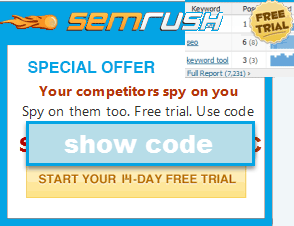 The technique was little more than placing some well-chosen keyword terms on the front page, however these words were also a strong call to action for large orders. They appeared in a prominent position. Both the SEO implementation and the business requirement were seamlessly aligned. Think about ways to grow the the clients business when you structure your service offering. Offering integrated marketing services - monitor keyword trends, referal trends, link search keyword to desireable action, provide custom tracking and analytics services,etc. Locking in clients with propriety software- Some companies muddy the waters by selling intermediary SEO services that sit between the clients site and Google. Certainly one way to get on-going revenue, but vulnerable to the whims of Google, and it could be argued not in the clients long term interests compared to improving their actual site. One great way of doing this would be to lock-in clients with propriety reporting and tools, sold on a subscription basis, that build - and demonstrate - on-going value. This list is by no means exhaustive, but these models have one thing in common. They create an ongoing value proposition. Once you've got your business model sorted out, and you're in a position to build value for the client over time, you need to nurture the relationship. Business is about people, and people need to be recognized, praised, and made to feel good. How much time do you spend nurturing the relationship you have with your existing clients? In order to spend more time nurturing the relationship, you're probably going to need to free up existing time! Write down your tasks and make a note of how much time you spend on each task you do. Are there any low level tasks you could delegate or out-source? Virtual assistants can take a lot of the drudge tasks off your hands, which frees you up to focus on your clients. Are you spending your time profitably? Are you adding value to the relationship? Is it better to go to another search marketing conference, or would your time be better spent going to a confernce that relates to your clients business? How much time are you spending time researching their business area? Your existing customer base can also be your de-facto sales force. They can provide you with recommendations and references. If they are impressed with you, they'll talk about you to others. This both increases your revenue and cuts your sales expenses. It is much easier to close word-of-mouth recommendations than any other type of sales close. What are you doing to increase the chances of this happening? One great way to increase the chances of word-of-mouth recommendations is to under promise and over deliver. In your proposals, pull back a little from what you'll actually end up delivering. Everyone loves a vendor who is seen to go the extra mile. Once you get the job, and find you may not be able to deliver, let clients now well in advance. Chances are, you'll get time enough to make up for it, and most clients are mature enough to realise that mistakes can happen. It's often as simple as an email, sending a card, or making a phone call. Don't make every communication a pitch. If the client only hears from you when you're trying to sell them something, it's not much of a relationship. Try to think of ways you can contact your client without being intrusive. Monitor the press for mentions of your client. If you find good reviews or mentions, flick your client an e-mail. Most clients will be impressed that you're taking an interest in them. This is a tricky one to pull off without sounding like a braggard, but the client does need to understand how much value you're providing them. Build notification into your process. Tell them what you're going to do. Do it. Tell them you've done it. Everyone likes great clients. But most clients aren't great. You'll get people who don't want to pay much, who won't pay you at all, who don't value the relationship, who miss deadlines, and who are never satisfied. Here's a great article on identifying the types of clients you don't want, and what to do about them. Not only are these clients a pain, but they reduce the time you can spend with great clients. Make a list of your clients and rank them in order of who will provide the greatest chance of regular, high value work. Consider cutting the rest. Are they really worth your time? I think I know what proprietary software you're referring to. Having considered something of that nature for a client this summer, I have to say that it can provide serious value. When the site's SEO needs get lip service and no more, for months at a time, you're better off working around the constraints than repeatedly butting heads with them. If SEO is a priority for the company then it is a priority...if not then getting on a subscription for a half-assed solution is not going to take their business to the next level. Some of our clients have spent millions on a CMS, hired us, been told their CMS was not search friendly, burned the multi-million dollar CMS to the ground and started over fresh implementing our ideas with a CMS built with SEO in mind. The result? Search traffic up over 25% (and this is for a HUGE HUGE HUGE brand consisting of a large publishing network). Of course we could have created some proprietary crap to keep them on a subscription...but their business would be worse for it. Thanks, nice information on How To Keep SEO Clients. Can i get more information on to get new SEO clients? Ohhh Aaron - I am now tempted to add a spammy link here just for another taste of the sweet snarkiness that I so love. But this is a great article Peter - I have found that my typical long-term value-add is in anayltics and ongoing tweaking (occasional,targeted updates). But I actually attempt the flipside of this thinking - I try to give my clients all the tools and information to maintain by themselves, so they don't need me in the long term. Why? Because most are too busy or too nervous to do it, and will hire me for it anyway...but making it possible for them to split from my care makes them more secure that I do in fact have their best interests in mind - not mine. This is often a shaky bridge in relationship building - I don't want them to feel dependent on me as much as develop an unquenchable desire for me to help them. I would rather have them come to me because they are happy to do so as opposed to being tied-into something (like software) they can't understand without me there to interpret; it makes future work much more likely for me. And your last point about cutting the duds cannot be overstated...it's all about the ROI, Baby! Except the time management tools listed above, I also recommend TABB. The web applications can help us to do the project schedule and enhance our business.